The Ethiopian Wolf Conservation Programme (EWCP) has been working for the conservation of Ethiopian wolves (Canis simensis) and the Afroalpine habitat since 1995. The Ethiopian wolf is found only in Ethiopia and its survival is closely linked to the persistence of healthy Afroalpine ecosystems. The wolf is critically endangered with less than 450 left in the world. This means there are fewer Ethiopian wolves left in the world than there are giant pandas, mountain gorillas or snow leopards. 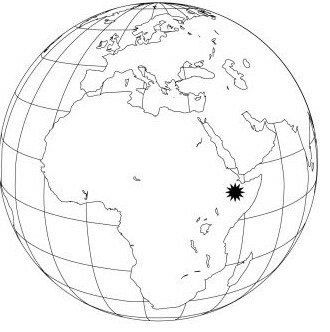 The species occurs in seven isolated habitat fragments in the Ethiopian highlands at elevations above 3500m. It is ranked as one of the world’s most threatened species by the IUCN and is Africa’s most endangered carnivore! There are no captive Ethiopian wolves anywhere in the world. 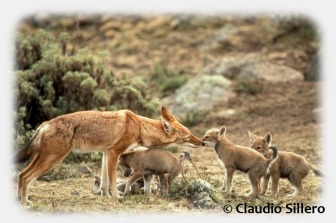 Ethiopian wolves are threatened both by processes that affect the entire Afroalpine and those specific to the species. The rapid expansion of agriculture and livestock grazing that converts and modifies their Afroalpine habitat continues to be the looming long-term risk to the persistence of the wolves. Immediately, wolf populations are threatened by disease outbreaks, particularly rabies, which has the potential to wipe out entire populations of the species. Domestic dogs accompanying people and livestock into the Afroalpine bring with them the danger of disease and a significant reservoir of hosts in which to maintain epidemics. IEWCP is acknowledged as being the longest running conservation programme in Ethiopia, and the only programme that is concerned with saving the Ethiopian wolf from extinction. Based out of the Bale Mountains National Park in south-eastern Ethiopia, we promote sustainable solutions for the conservation of Ethiopian wolves by addressing the most serious threats affecting their populations. Our work is centered on capacity building within the Ethiopian conservation community, the monitoring of wolves and Afroalpine resources, disease prevention and control, community education and awareness, and habitat protection support. Our activities are informed by sound research on the wolves and the habitats that sustain their rodent prey. EWCP teams operate throughout the range of the Ethiopian wolf, employing over 30 local people, including Research Assistants, Education and Outreach Officers, Wolf Monitors and Veterinary Officers. With the support of the UKWCT, the Ethiopian Wolf Conservation Programme has seven wolf monitors in the field at all times, following the wolves and collecting data on their behaviour, breeding success and health. Our monitors are the first to spot signs of disease in the various wolf packs, and are able to alert us in time for us to take preventative actions. In addition, our two vet teams work to vaccinate over 6000 domestic dogs each year in villages surrounding wolf populations. This helps to prevent the spread of rabies to the wolves. Our ongoing education programme works with local schoolchildren, teaching them the value of conservation and instilling in them a sense of pride and ownership in the afroalpine in general, and the Ethiopian wolves in particular. We also conduct outreach work within the local communities to teach them about the dangers of rabies, and encourage them to get their dogs vaccinated. Download the EWCP annual report for 2014 here. The UKWCT's funding has helped towards monitoring wolves in the Bale mountains.